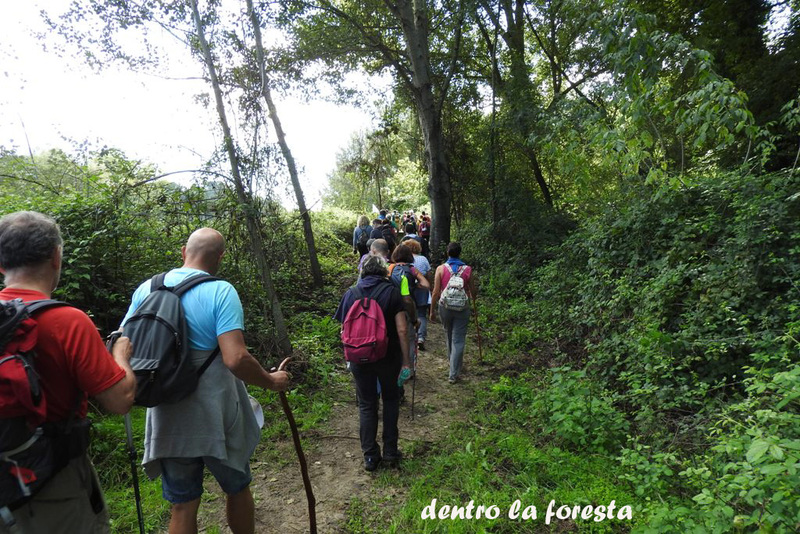 The origin of the name comes from LA STORTA a Roman post station on a bend of Via Cassia, in conjunction with the Via Clodia (17th Km). 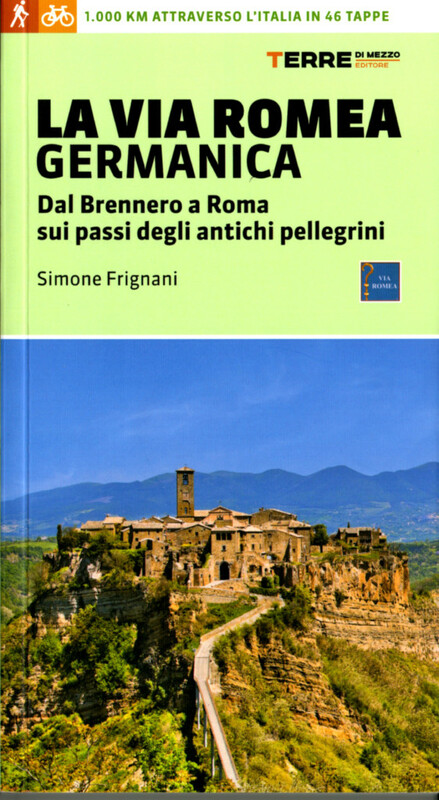 In the Middle Ages the town was found along the route of the Via Francigena, in particular in that of Sigerico; the town coincided with Submansio II, the first after Rome, called Johannis IX (San Giovanni in Nono). 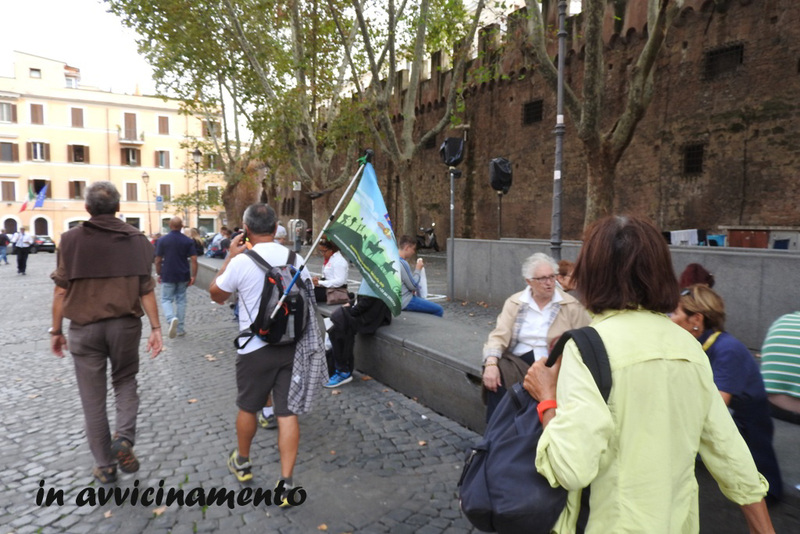 This name comes from the fact that the old coaching inn (mansio) stood near the present church, once actually called San Giovanni in Nono since it was located on the ninth mile from the start of the Via Cassia. 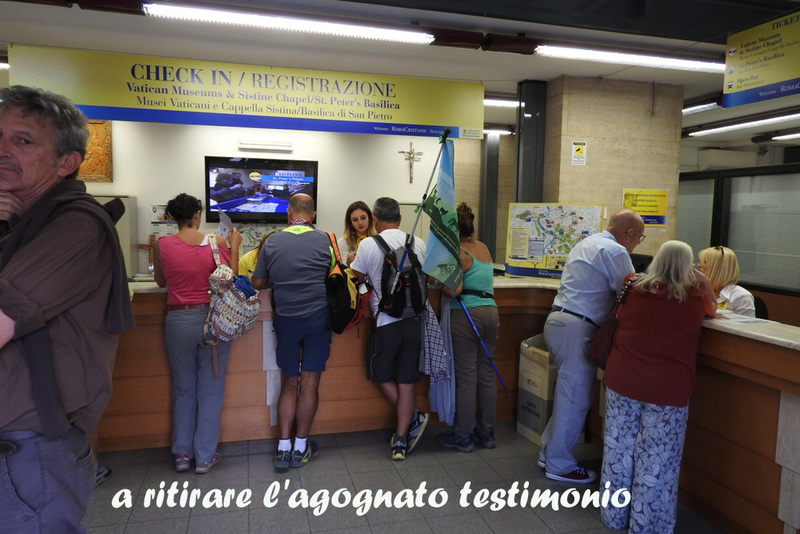 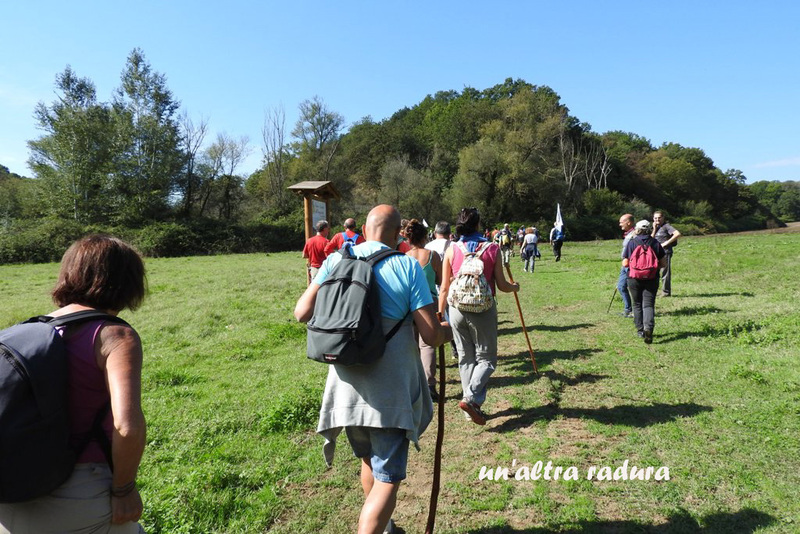 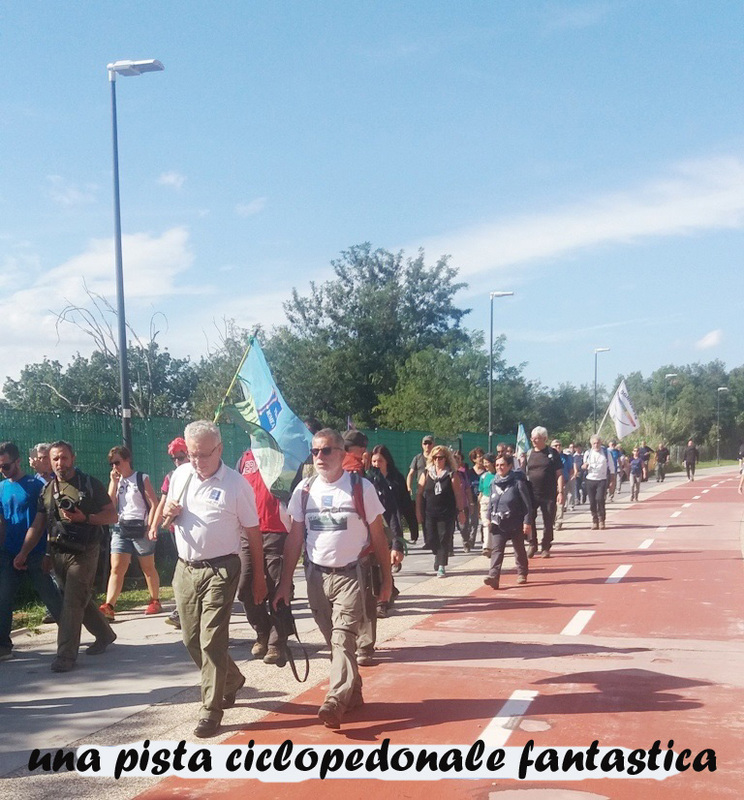 The Francigena came from Borgo Leonino and reached, with the Via Trionfale, Monte Mario that pilgrims called Mons Gaudii (Mount of Joy). 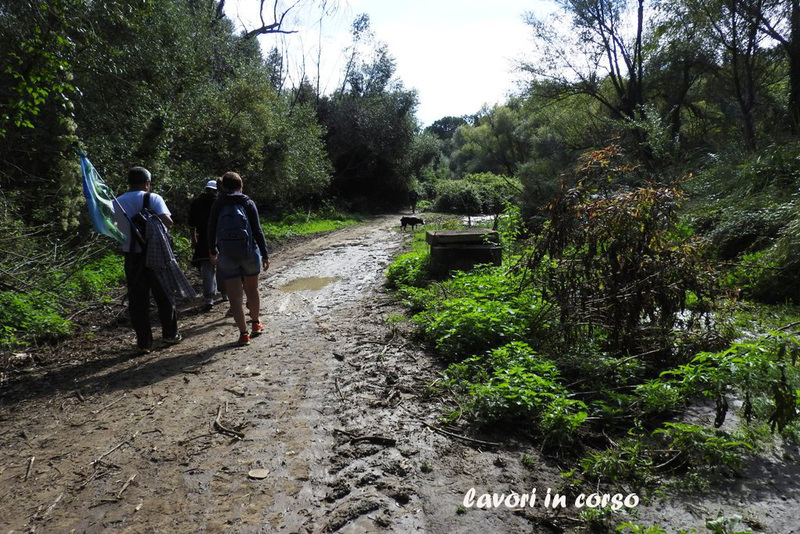 A short stage but with its own difficulties due to the fact of having to go through a densely populated area, then the metropolis of ROME, and the prevalence of a route on tarmac. 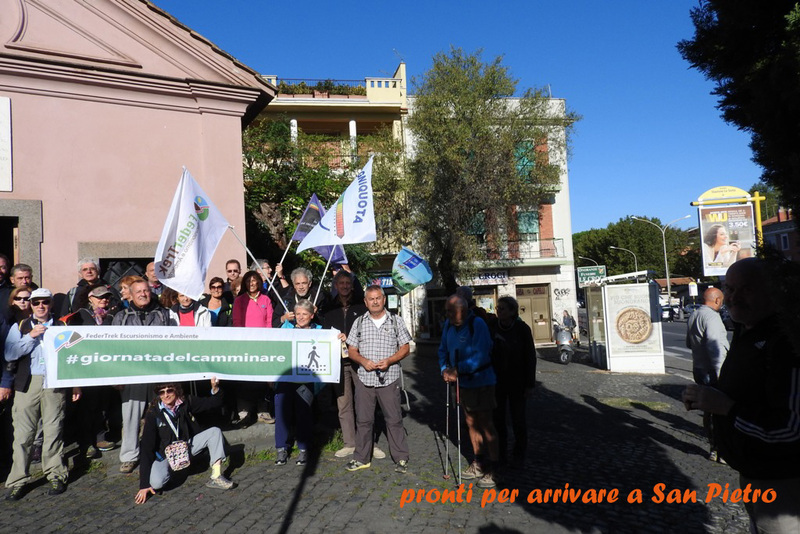 Let us set out for the latest effort starting from the Church of the Sacred Hearts of Jesus and Mary; we cross the short stretch of Via Del Cenacolo that brings us on the Cassia or SR2, then paying attention to the diabolic traffic; we follow the Cassia and in 2.5 km we are in La Giustiniana; We continue on the Cassia for 1.8 km and we will above the Great Ring Road of Rome. 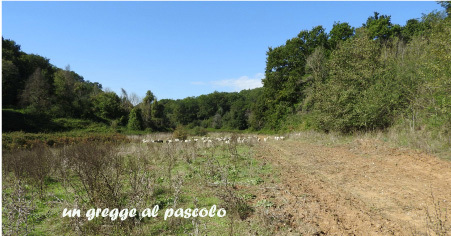 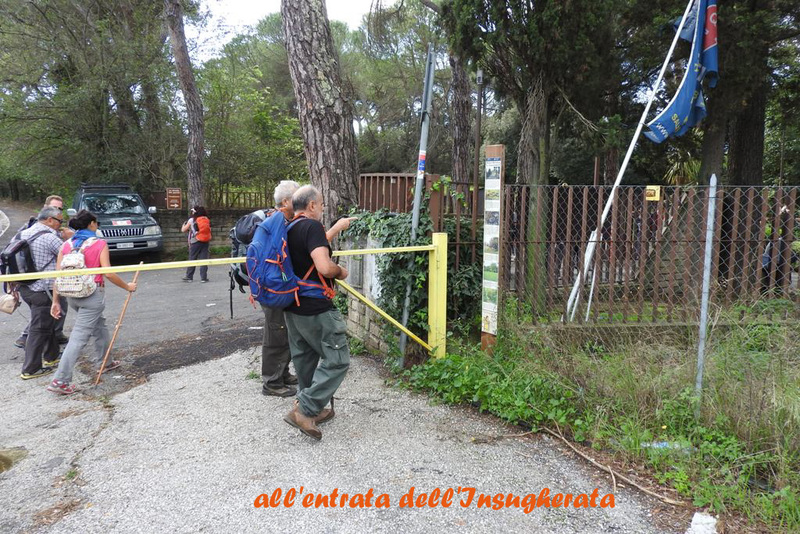 After passing the junction, turn right and enter the nature reserve dell’Insugherata; we advance to 400 m, exceeding the left lane to turn left shortly after: does not seem true but the city seems far away, and the setting is nice and interesting from all points of view. 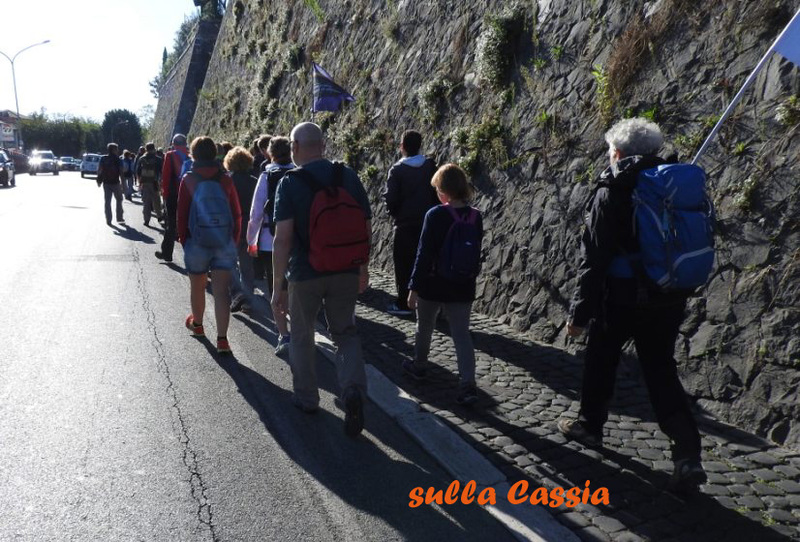 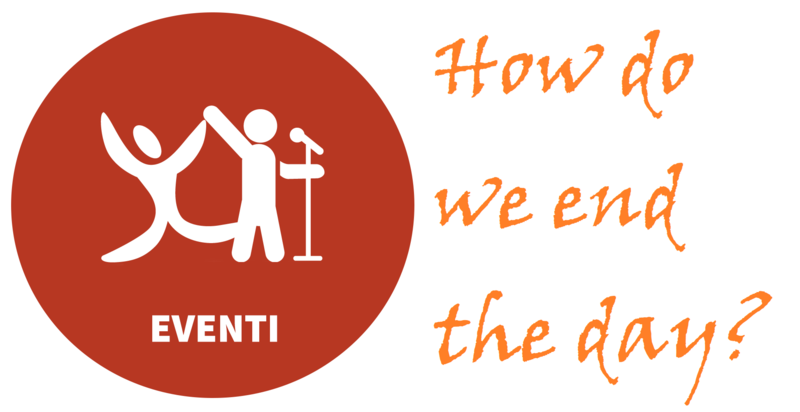 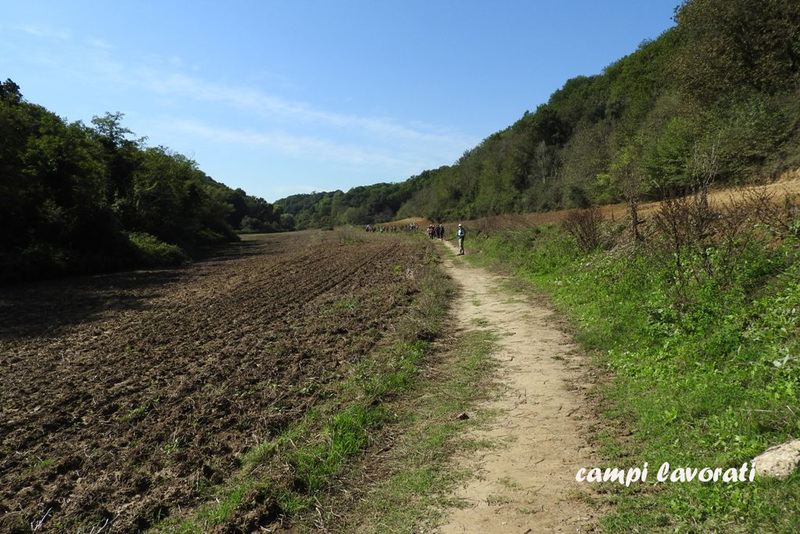 We walk for 2 km, then turn right and move forward for another 1,4 km; turn left, do 600 m in a narrow valley, we turn right, go up and turn immediately we left to take Via Augusto Conti; 200 m and turn left in via Achille Mauri that we follow for 1 km, even when it becomes Via Cherubini, then off Guadalupe Street Troya and finally, to the confluence in via Trionfale. 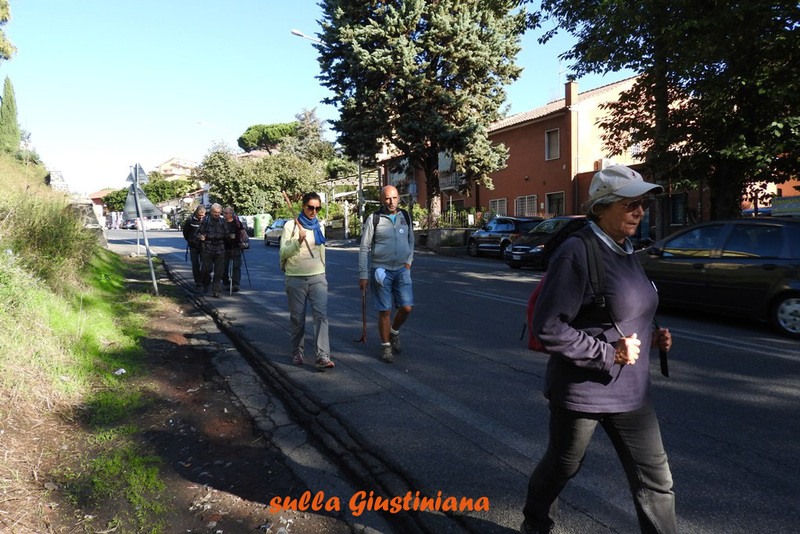 Now we follow Triumphal Way for 1,5 km until p.za Monte Gaudio, where the same turn right; We continue again for 300 m and turn left into Via Igea than in other 300 m takes us p.za Walter Rossi; We cross the square and take Via della Camilluccia; other 300 m on the right and arrive in Via Edmondo De Amicis with which we begin the “climb” in Monte Mario: 3 km and we are astronomical observatory, but also at the point where our eyes can finally embrace ROME, our goal and particularly St. Peter. 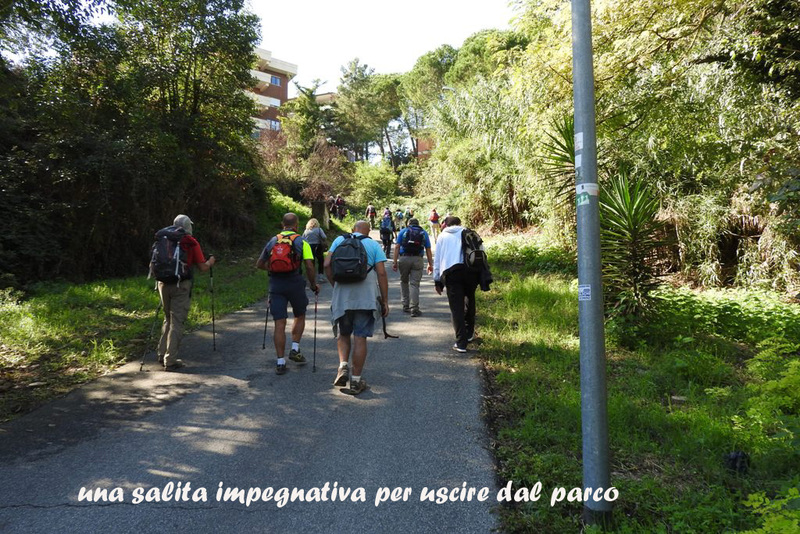 We go descend from Monte Mario, cross via Igoumenitsa, take Via Bucchi, cross the Clodia ring road and we are on Viale Angelico: straight for 2 km to the right and we are on the colonnade of St. Peter. 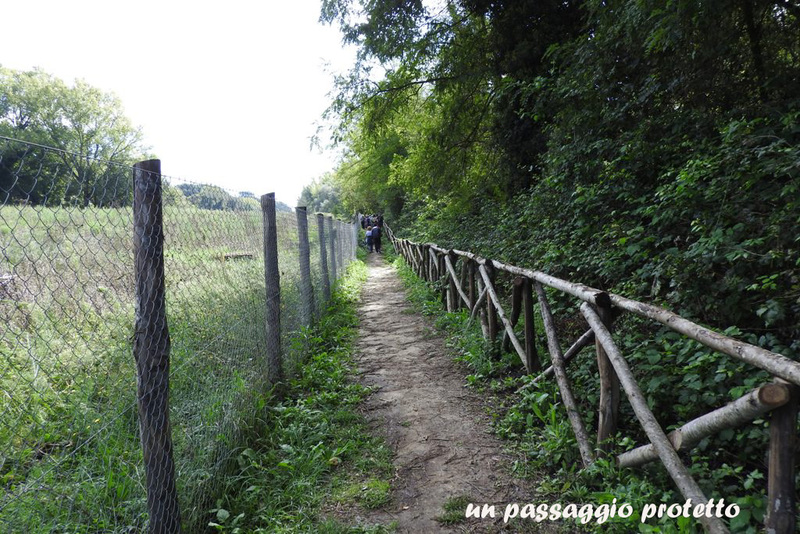 OPTION FOR ST. PETER (practicable by bike) Leaving the park of Insugherata, we reach via Augusto Conti, up the hill, and we continue for 1 Km without turning left on Via Achille Mauri, passing numerous intersections, including via Guarini, via G.Gherardini and via Trionfale where, moving a little to the left, we continue for a few meters on via A.Gabelli then turn left and take the cycle path that leads us in front of Monte Mario train station. 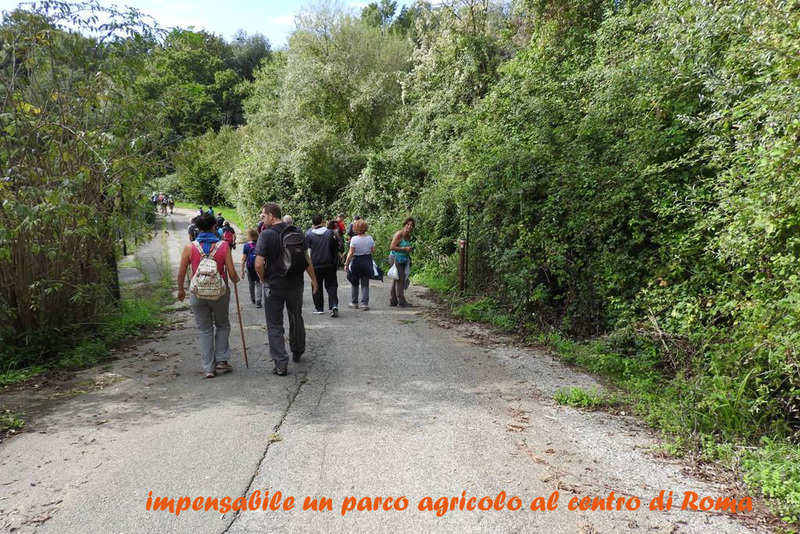 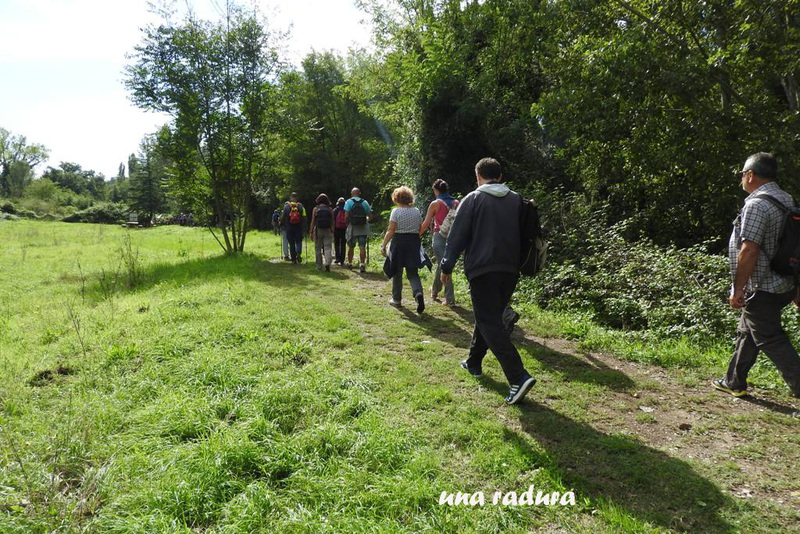 Now we follow the beautiful track, occupying always strictly the space reserved for pedestrians, for over 4.5 km. 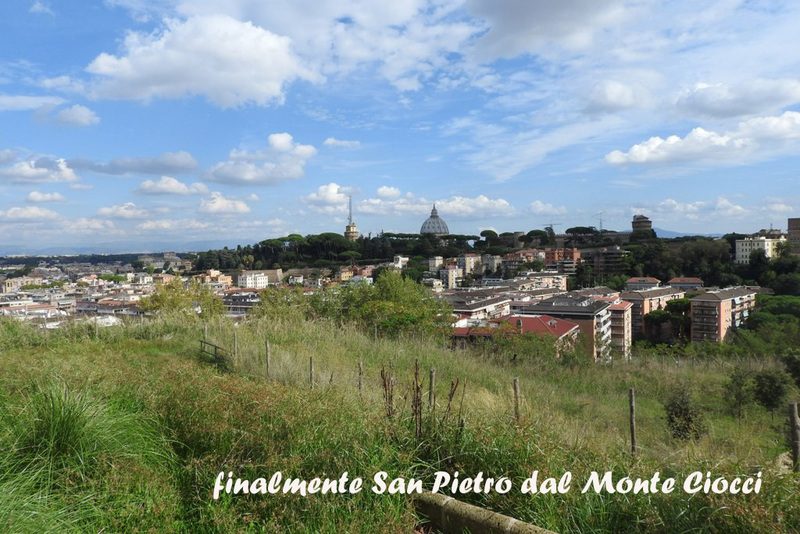 We will get to Monte Ciocci where we can see in front of us San Pietro, the Vatican and all of Rome. 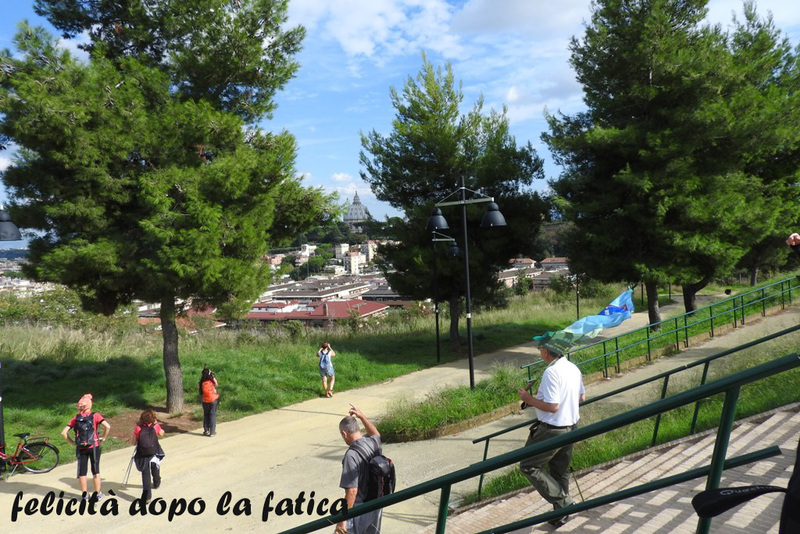 We go down the hill along the winding road if by bike, or using the steep steps if walking, and so we get to via Anastasio II; we turn left, go over viale Ammiragli and we continue on via Cipro, turning right on via Among Albenzio, crossing piazza Santa Maria delle Grazie and, moving to the right, we continue on Via Candia; 500 m and we get to Via Leone IV; we turn right and after less than 300 m we are under the Vatican Walls. 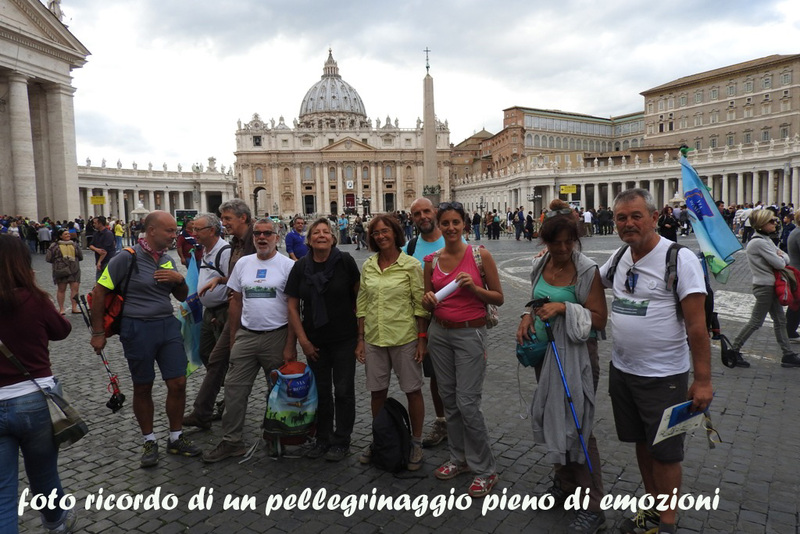 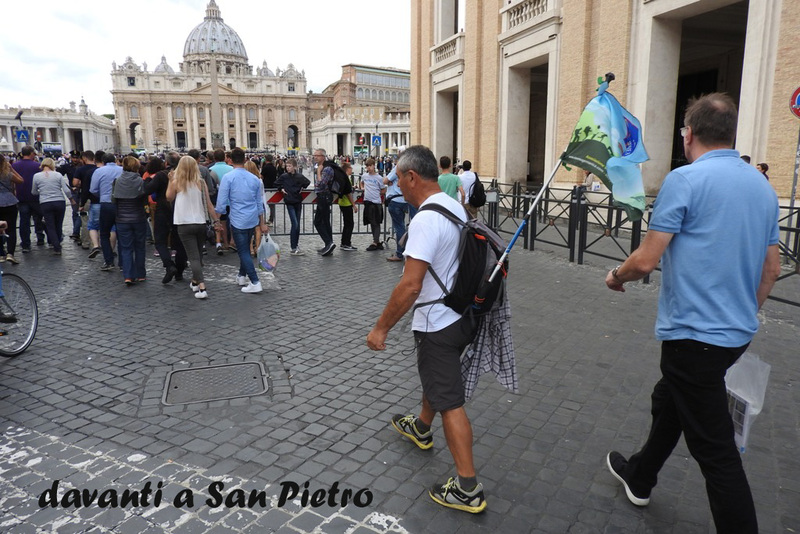 We turn left and we are in Piazza Risorgimento, where turning right we take via di Porta Angelica: 300 m and we are under the porch of St. Peter.